I am a real estate photographer that works in the Colorado Springs and Denver areas. 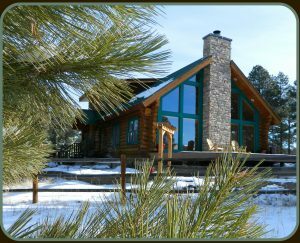 I have been photographing homes and ranches for over 20 years. The goal of my real estate photography is to accurately portray the house while at the same time capturing what it would “feel” like to live in the home or to visit the home. I do not just take photographs of homes that are for sale. I take photographs that celebrate and share the Colorado lifestyle that the home would enable. I use natural lighting, my creativity, supplemental lighting and/or off camera flashes to get the ideal shots without a significant amount of post processing. Unlike most professional real estate photographers, I have also been a Realtor for about 15 years. I love photographing homes, land and ranches. Real estate and real estate photography isn’t just a job, real estate is a full time hobby. I rather shoot pictures of homes and horses rather than weddings or portraits of people. As a Realtor, I know that buyers want to see what the home really looks like. Buyers also want to see pictures of other features that are important to them such as garages, barns, stables and/or workshops. In addition to taking the real estate photographs, I can assist home owners with staging their home, barns and/or stables so that the home will look its best in photographs and for prospective buyer’s visits. Home staging: $95 per hour plus mileage for initial consultation. One hour minimum. If home staging services are requested, it is recommended the appointment occur at least three days prior to appointment for the real estate photography shoot. Photography: $125 per hour on site plus mileage. One hour minimum. In order to capture the best lighting, if your home faces the east, please plan on an appointment in the morning. If your home faces the west, plan on an appointment in the evening.